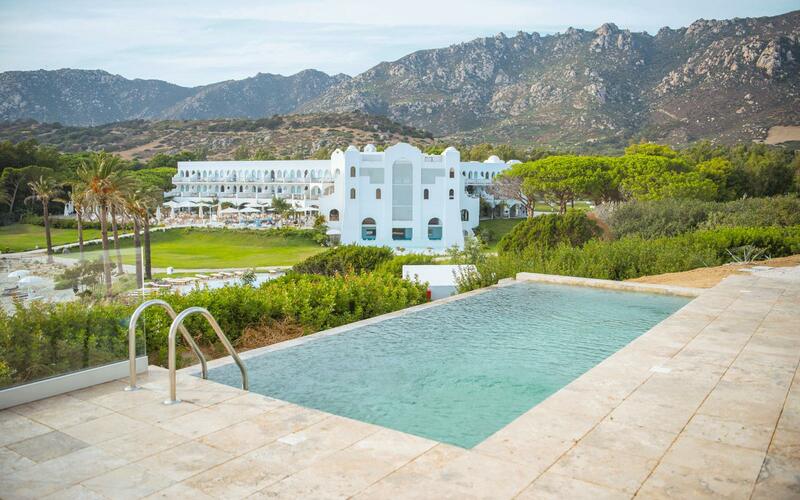 Hotel Marinedda Thalasso & Spa sits in a landscape of pretty Mediterranean gardens on a gently sloping hillside, offering beautiful views over the Gulf of Asinara. Little pathways meander through the gardens, leading down to the beautiful, crescent shaped bay of Marinedda, with its white sandy beach and turquoise waters. 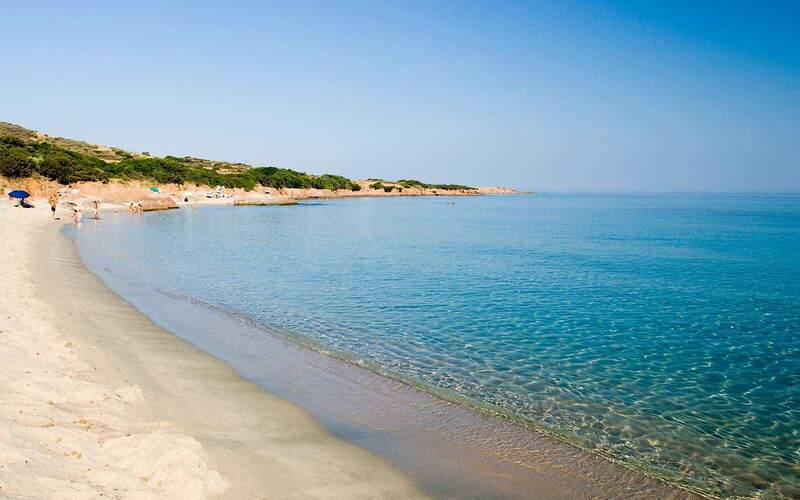 The village of Isola Rossa is just 1km away, and offers a small selection of shops, restaurants and bars. 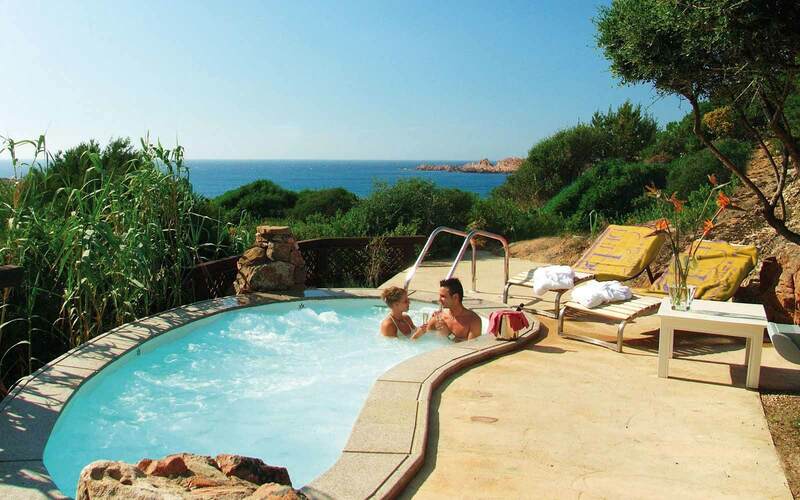 The hotel is popular for its well-equipped Thalasso & Spa, and is therefore an excellent choice for anyone looking for a little pampering. 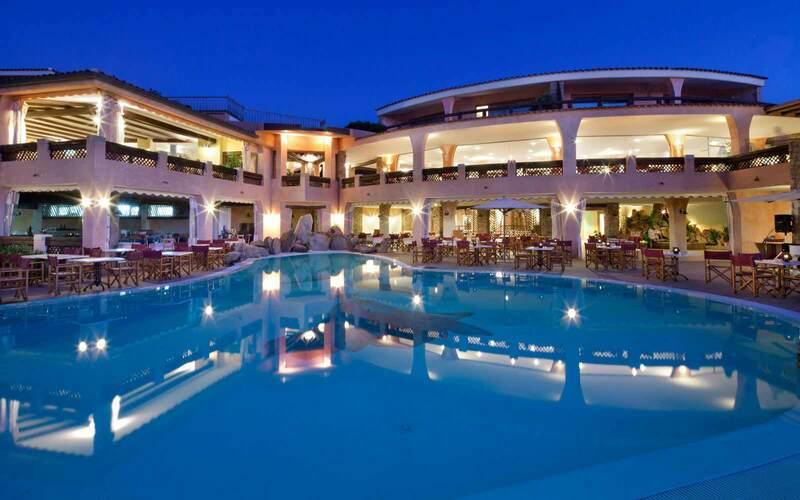 Spacious and stylish, with a wonderful, relaxing atmosphere, Hotel Marinedda Thalasso is appealing to singles, couples and families alike. An elegant and rich buffet is offered on the panoramic pool terrace around the pool. 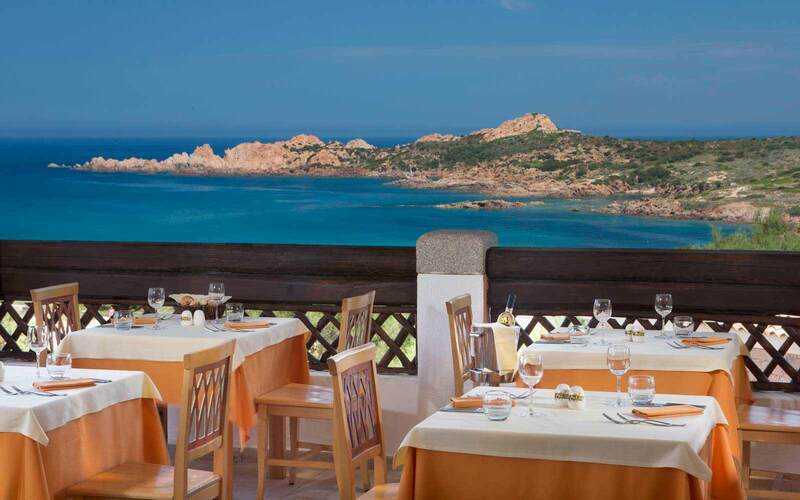 A buffet dinner is available in the main restaurant “Petra Ruja” (from 19:30 to 21:30hrs) which has lovely views over the bay. 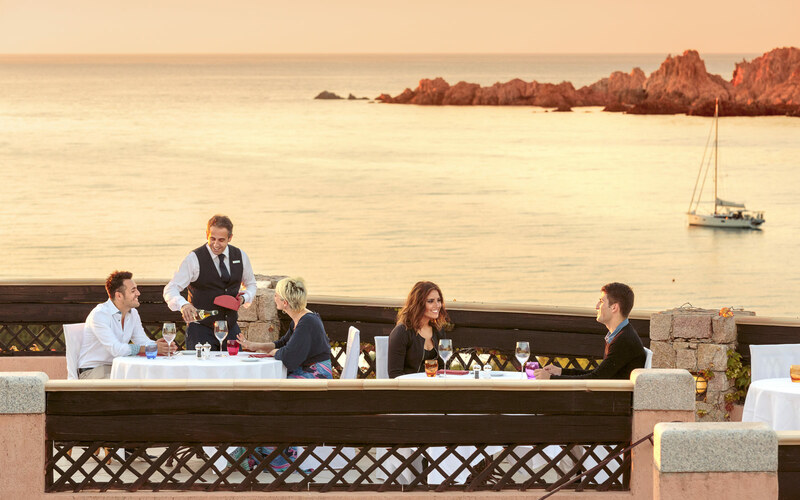 Alternatively, from 20:00 until 22:00hrs, table service dining is offered at Restaurants “Punta Canneddi” (reservation required, no supplement) and “Tramonto” (reservation required with a supplement for the tasting menu). The pizzeria "Basirico'" offers pizzas cooked on wooden fired oven as well as starters buffet and delicious ice screams. 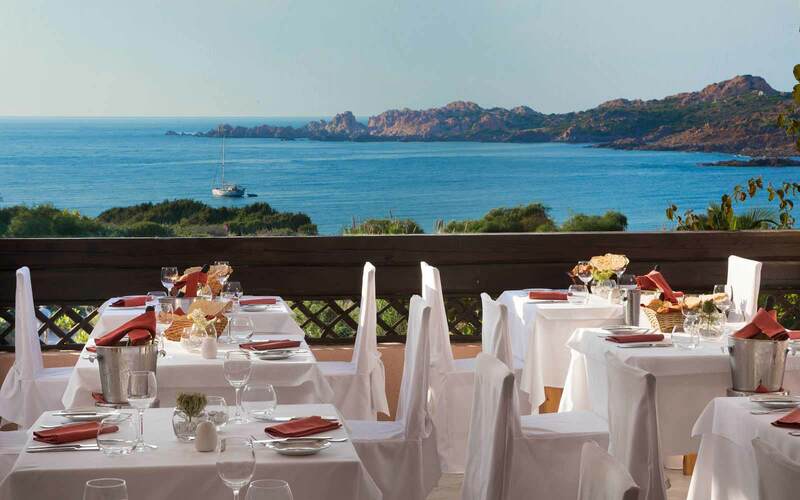 On request, guests on Half board can replace dinner with Brunch Mediterranneo (from 12:30 to 14:00hrs): a light lunch buffet based of hot pasta dishes and Chef’s cold dishes of cereals, legumes and vegetables, in addition to a selection of salads, fruits and local cheeses. Meat, fish and desserts are not served. Snack bar at the swimming pool, near La Marinedda beach. 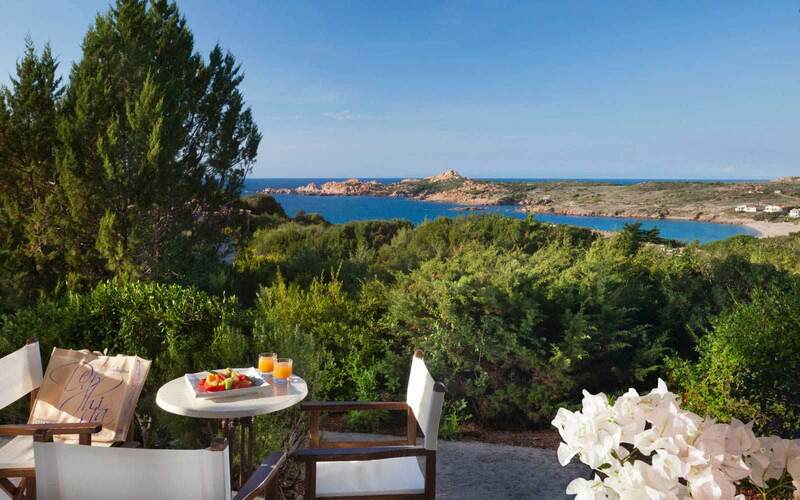 Note: Guests buying the brunch at the hotel for the whole stay and wishing to go on excursion in Gallura may take advantage of the Brunch Around in one of the several hotels of the Delphina Group (4/5 star properties). Transfers between properties & drinks are not included and reservation must be made at the hotel. 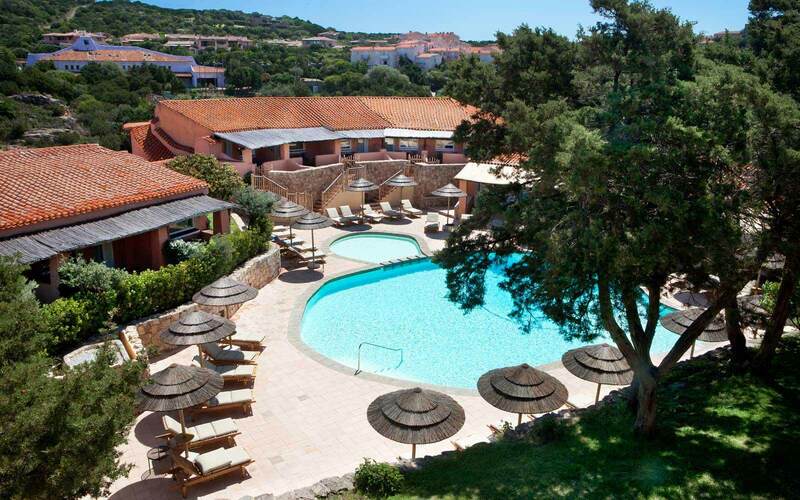 Beach & Swimming Pool: the public beach of Marinedda is some 300-500 metres from the rooms, and offers sun-beds and parasols (all at local cost). For walkers and beachcombers, there are many other stunning bays along this beautiful coastline, just waiting to be explored. 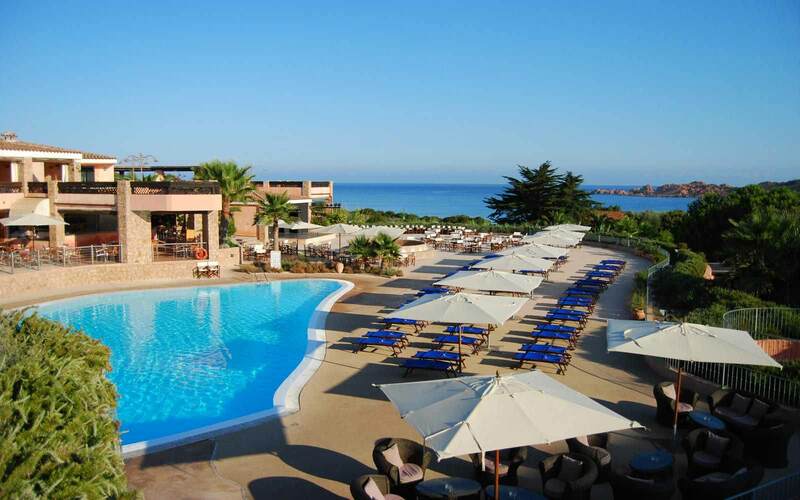 The hotel offers two beautiful, outdoor swimming pools (excluding those at the Wellness Centre), both with bar service. 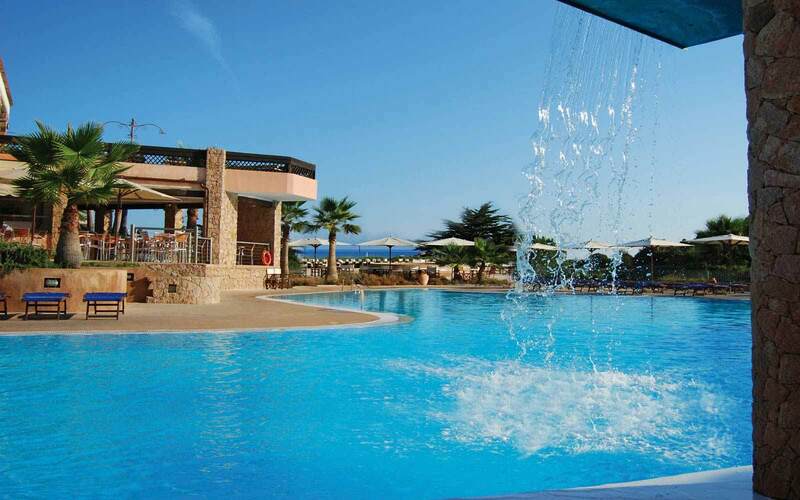 One is a seawater pool, close to the beach and with fantastic sea view. 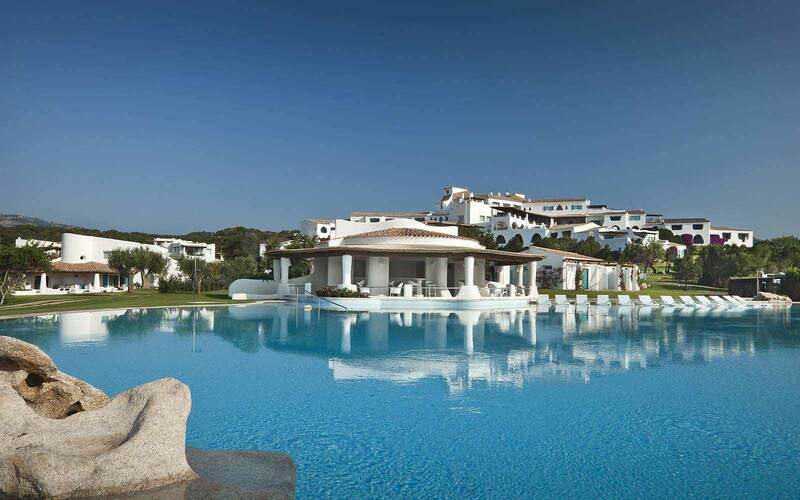 The other one is freshwater pool and is located in the main part of the hotel with panoramic terraces. (Note: no children’s section in either pool). 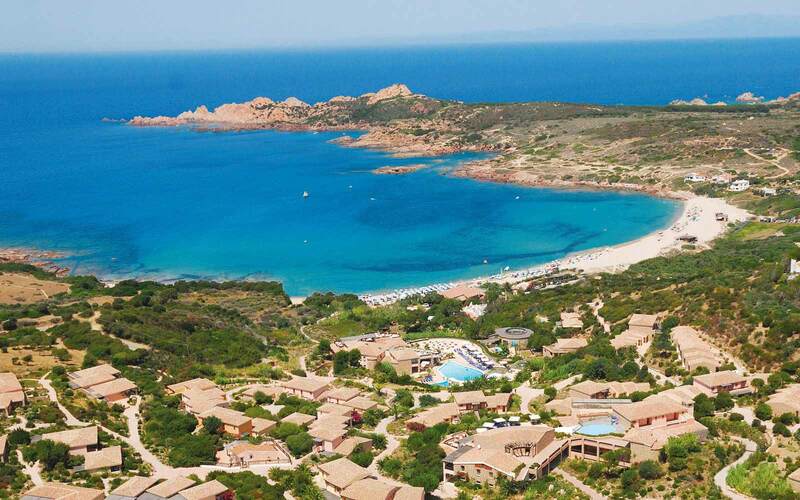 Thalasso & Spa Centre ‘ L’Elicriso’: the hotel is justly proud of its Spa & Wellness Centre, which covers 2,500sqm, is the largest in Sardinia and one of the most prestigious Thalasso Spas of the Mediterranean. 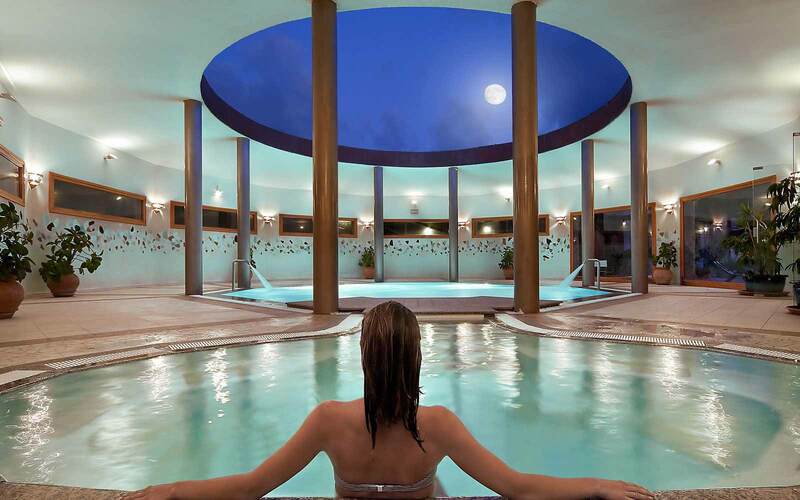 Guests of the President & Executive Elicriso rooms receive free entrance to the Centre, Thalasso pools, Turkish bath, sauna, cardio fitness room and relax area (upon reservation). The centre is open 6 days a week. Mini - Junior Club: The Mini/Junior Club (from 3 to 11 years ) will keep the little ones entertained whilst the adults relax in the Spa. The Club is open 6 days a week from 09:30-13:00 and again from 15:30 until 18:30 and includes group tennis, five-a-side football lessons, mini basket, archery. Pushchair hire is available if requested when booking. (at local cost with a refundable deposit required on delivery). 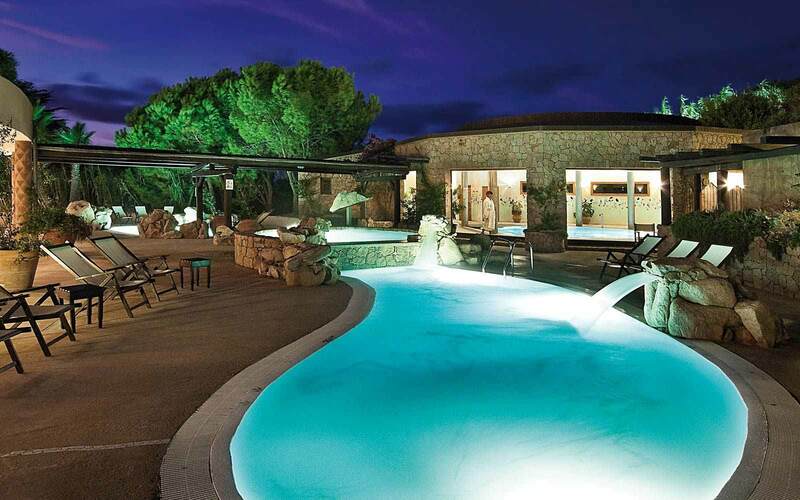 The opening of all amenities is at the discretion of the management. 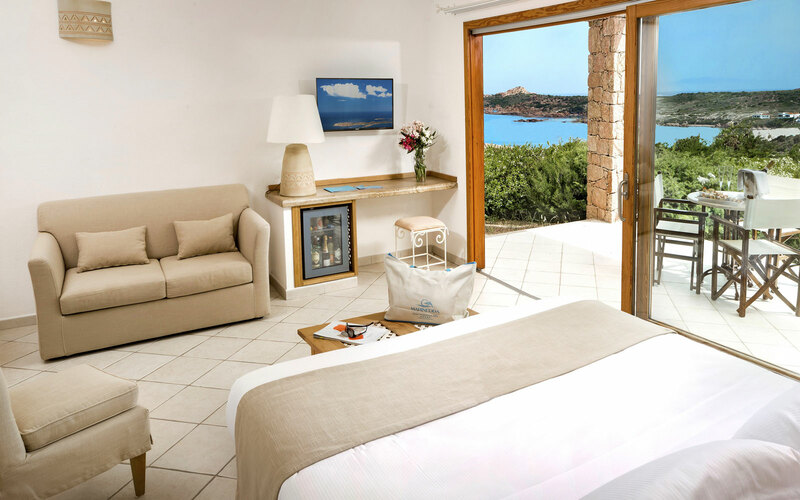 195 guestrooms are located on the ground or upper floor and are tastefully furnished in typical Sardinian style & colours, with façades of local stone. Classic: Double bedded room (twin beds on request); possibility to add third bed or cot. 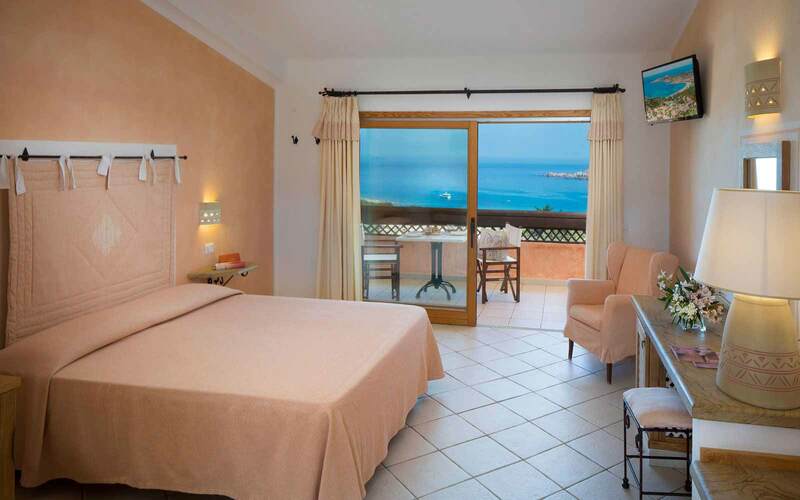 Relax: Double bedded room, plus a single sofa bed, capable of accommodating 2 adults and one child up to 11 years. Junior Suite: Elegantly furnished double bedded room, leading to an open-plan lounge area with two single sofa beds, capable of accommodating two children up to 13 years. Suite: Double bedded room leading to a separated lounge area with two single sofa beds, capable of accommodating two children up to 13 years. Senior Suite Family: a Suite interconnecting with a Classic room . 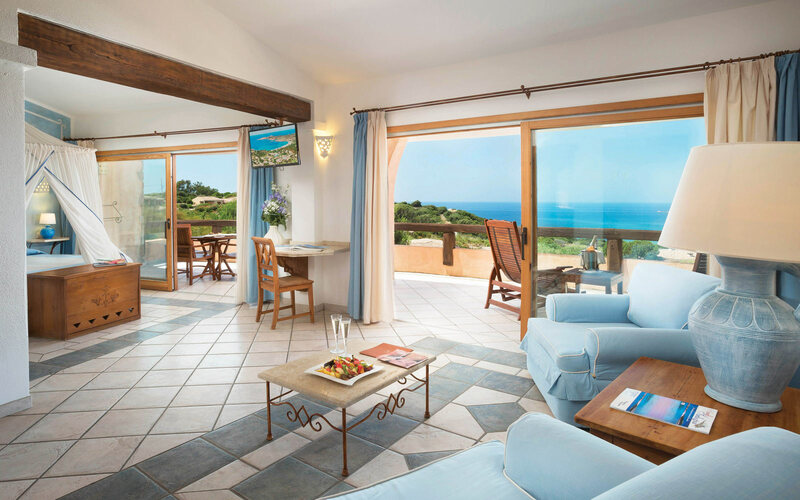 President Sea View: Elegant double bedroom with large verandah overlooking the bay, open-plan lounge area with two single sofa beds capable of accommodating two children up to 13 years. Free entrance to the Wellness Centre. 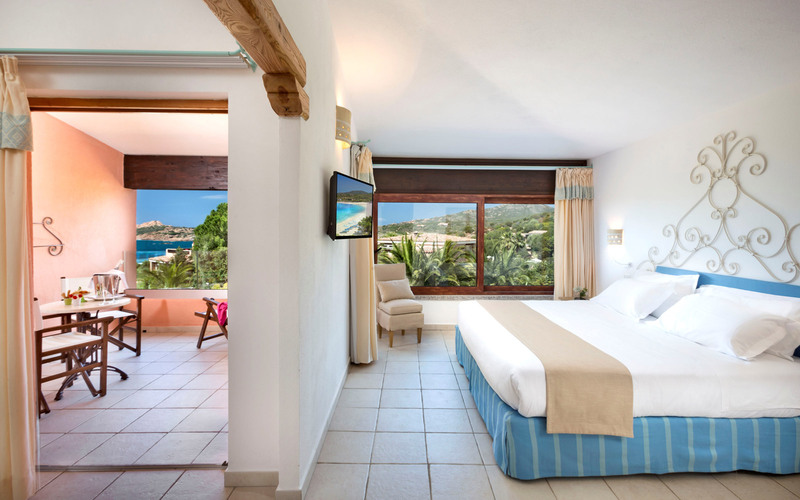 Executive Elicriso Sea View: Exclusive rooms for couples looking for complete privacy. Double bedroom with open-plan lounge area leading to a furnished terrace with private, heated Thalasso hydro-massage pool (1.3m depth). No third bed or cot permitted. Minimum age is 14 years. 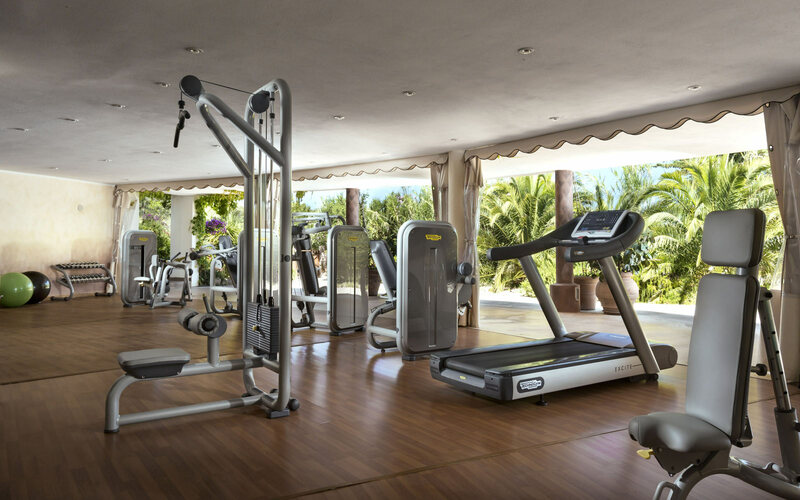 Free entrance to the Wellness Centre. 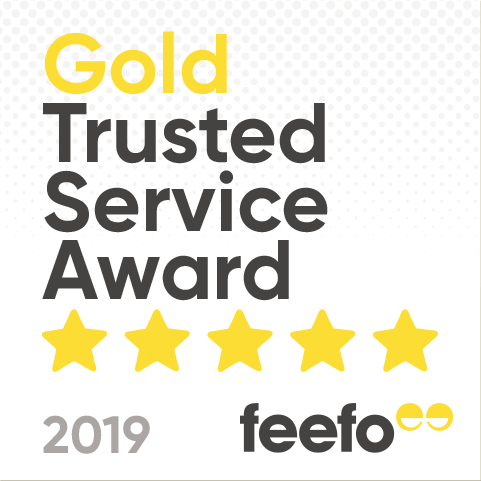 All rooms offer: furnished verandah, shower room, hair dryer, air-conditioning, telephone, satellite TV, Wi-fi, safe, mini-bar, beach towels & bathrobes for adults. Note: All rooms are with shower, no baths. Sea view rooms are available at a supplement.